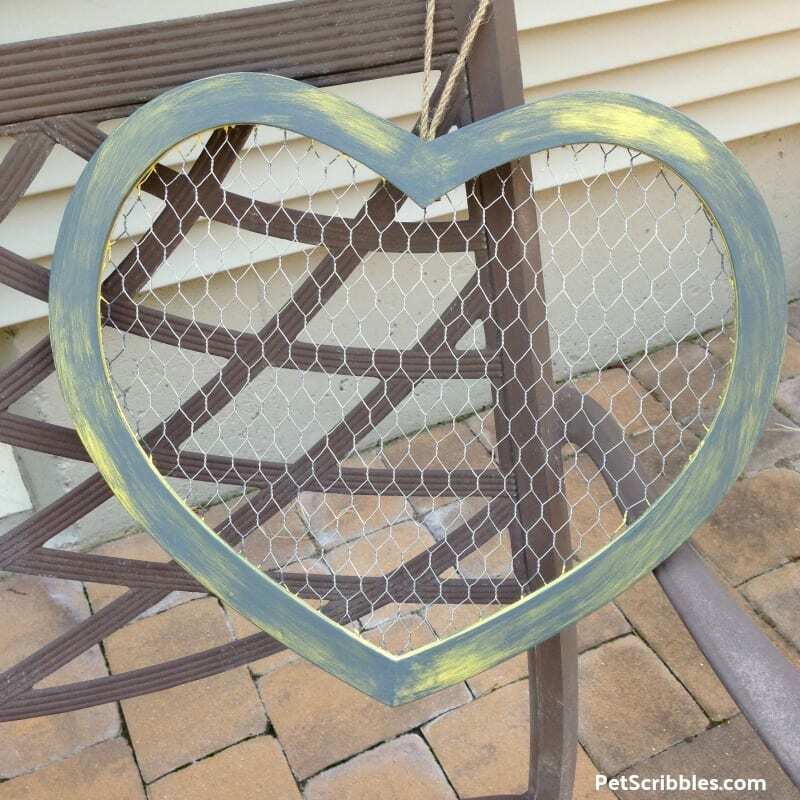 Today I’m going to show you how easy it is to paint a Rustic Chicken Wire Heart! 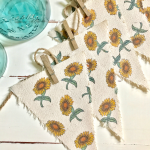 You can get a distressed look with basic craft paints and a washcloth. 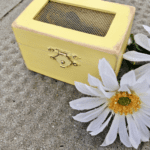 This is a super easy-peasy DIY — trust me! 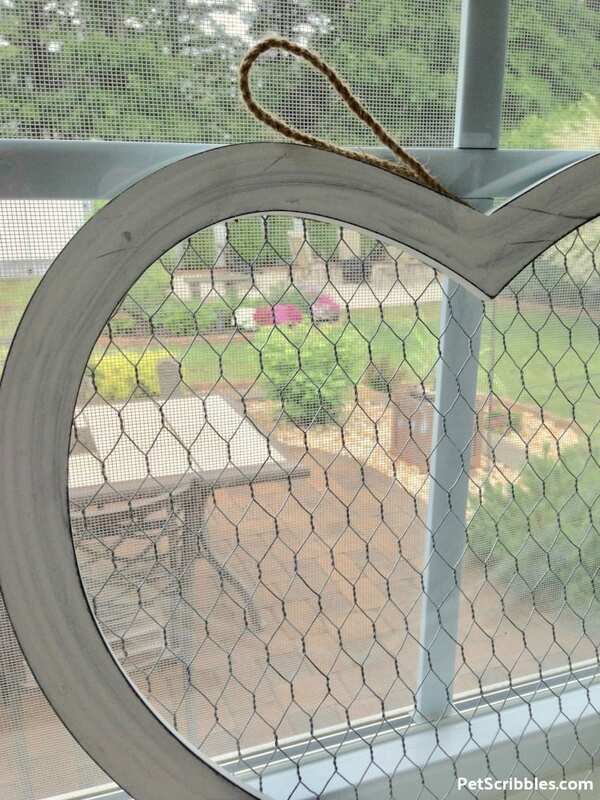 Have you seen the rustic farmhouse chicken wire trend? 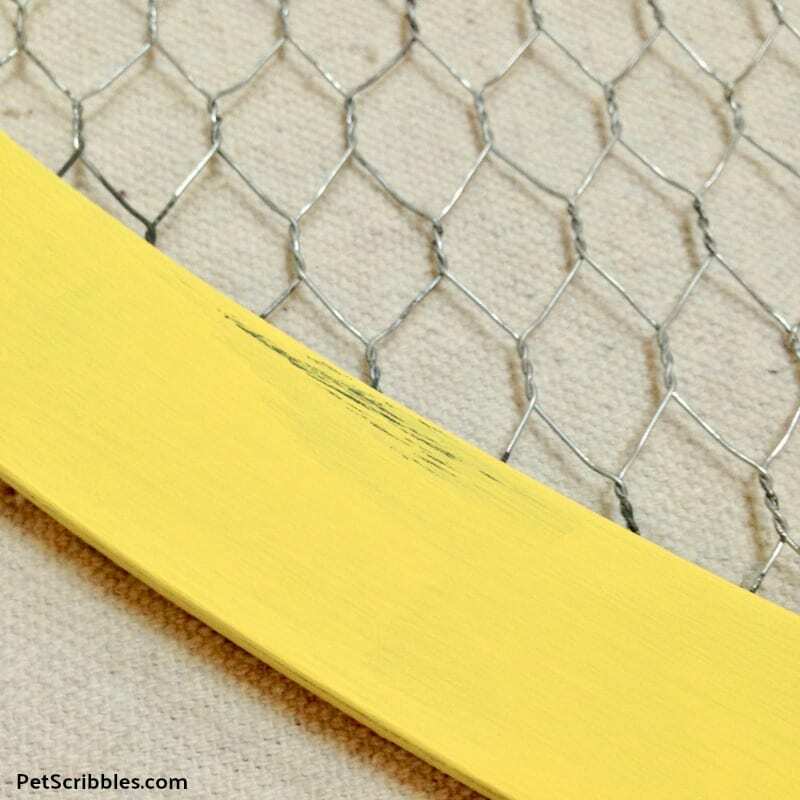 Maybe it isn’t a trend, but many frames and home decor items have chicken wire as part of the decoration. 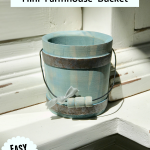 It’s a rustic, farmhouse style that I really like! 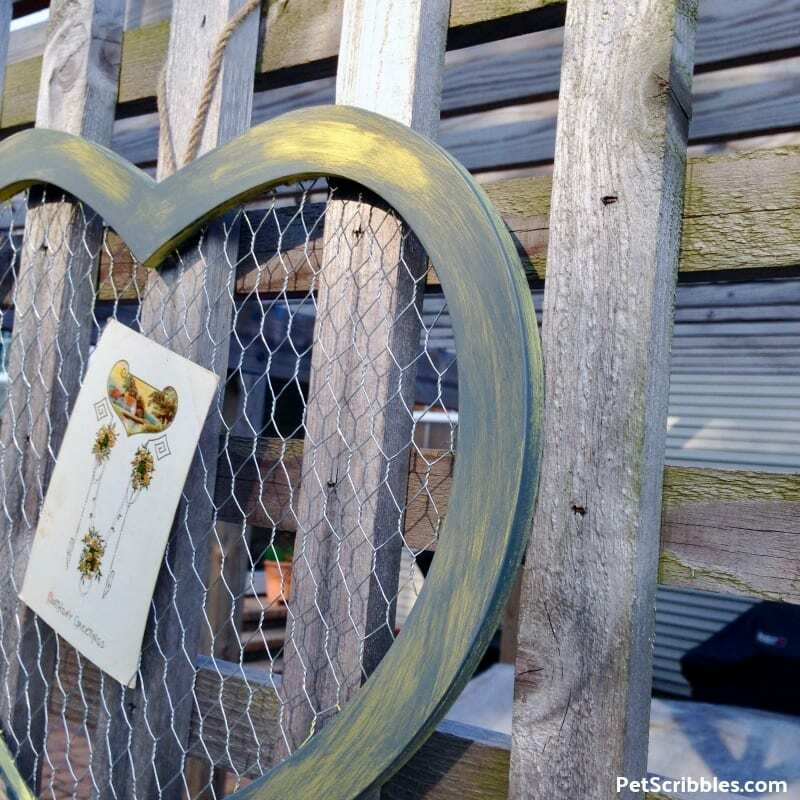 Instead of paying good money for something similar that’s already painted — buy an unfinished chicken wire heart and paint it in the colors that you want to match your own farmhouse decor. 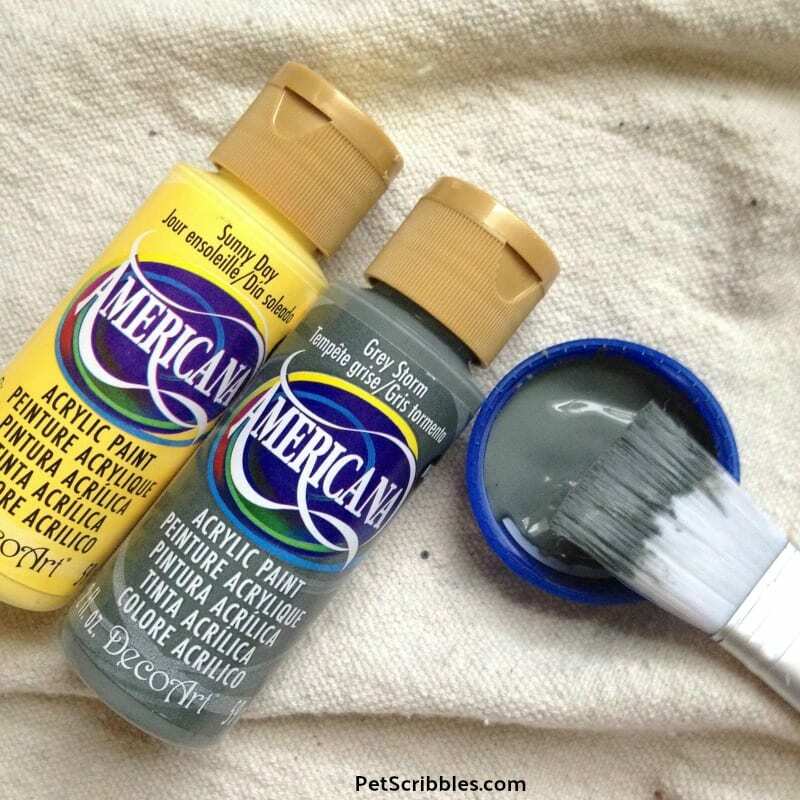 Helpful tip: Simply purchase a ready-made home decor item and customize it with craft paint to match your own color scheme! 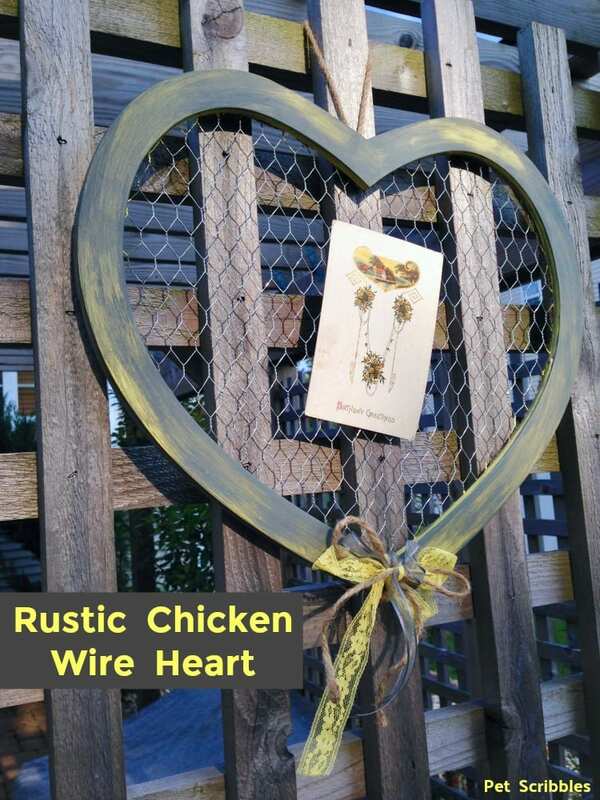 Here’s a picture of a rustic chicken wire heart, made by Darice Crafts. You can buy this on Amazon here for under $10. 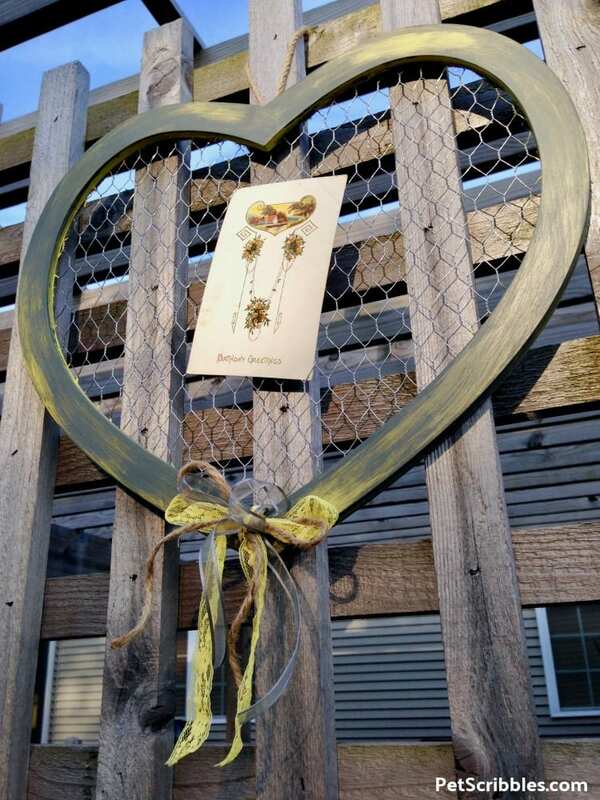 The size of the heart is approximately 14 inches by 16 inches, and there is a twine loop at the top for easy hanging. 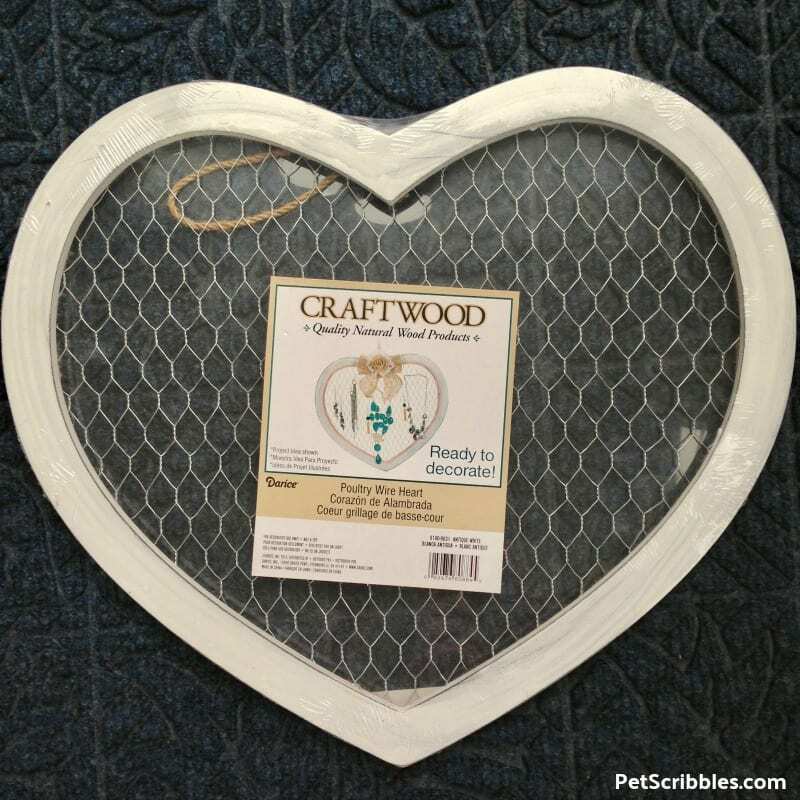 The wood has a very light rustic white paint finish, so you could display it as is. 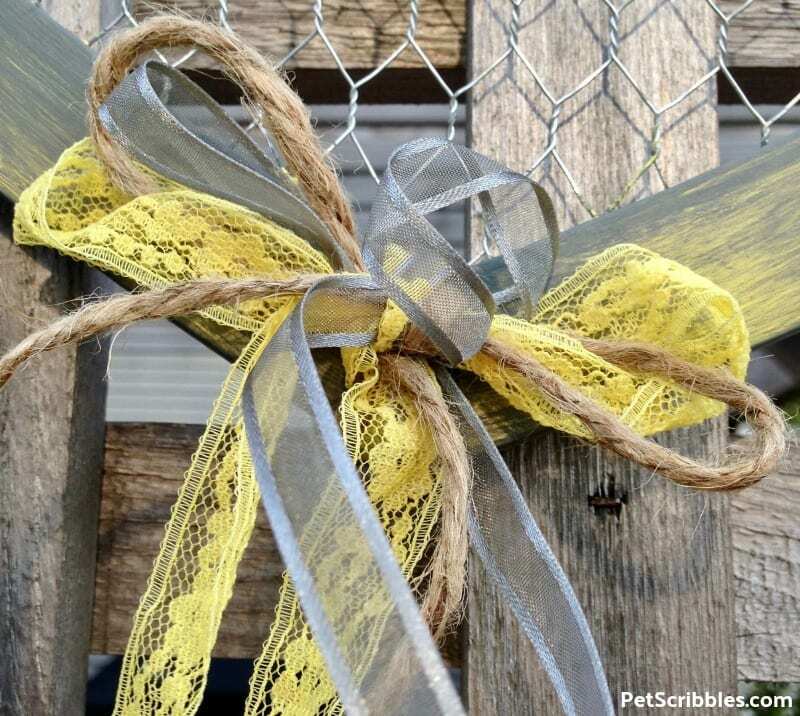 I can imagine using these as wedding decor, painted to match the wedding colors, with ribbon or flowers wound through the chicken wire. I decided to paint mine and embellish it with some of my own ribbons and vintage lace seam binding. 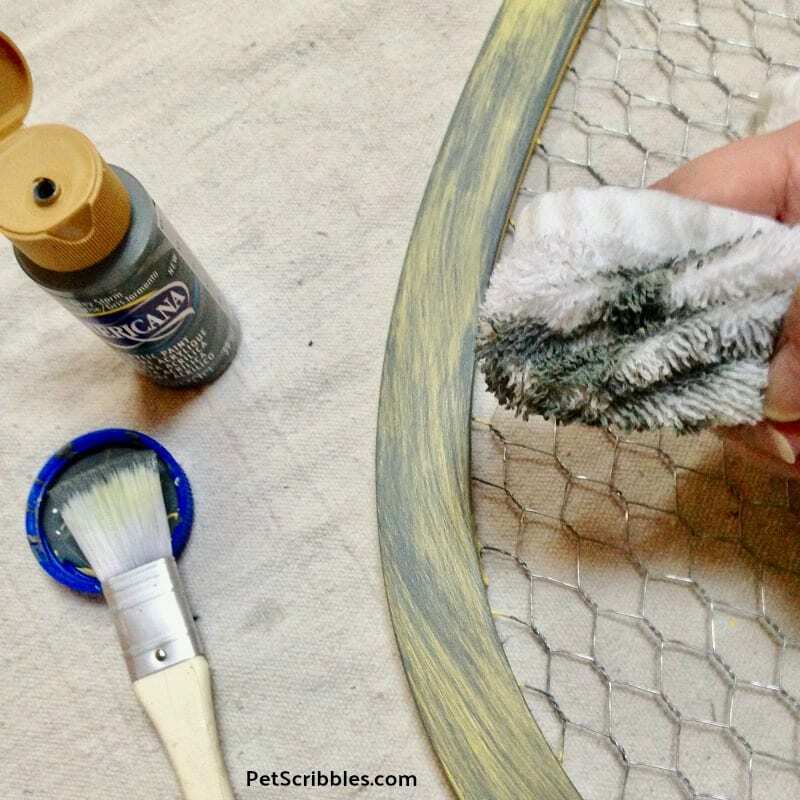 The paint technique I used to get a weathered-wood finish consists of two paint colors and a wet washcloth. Yes, and it’s very easy to do! 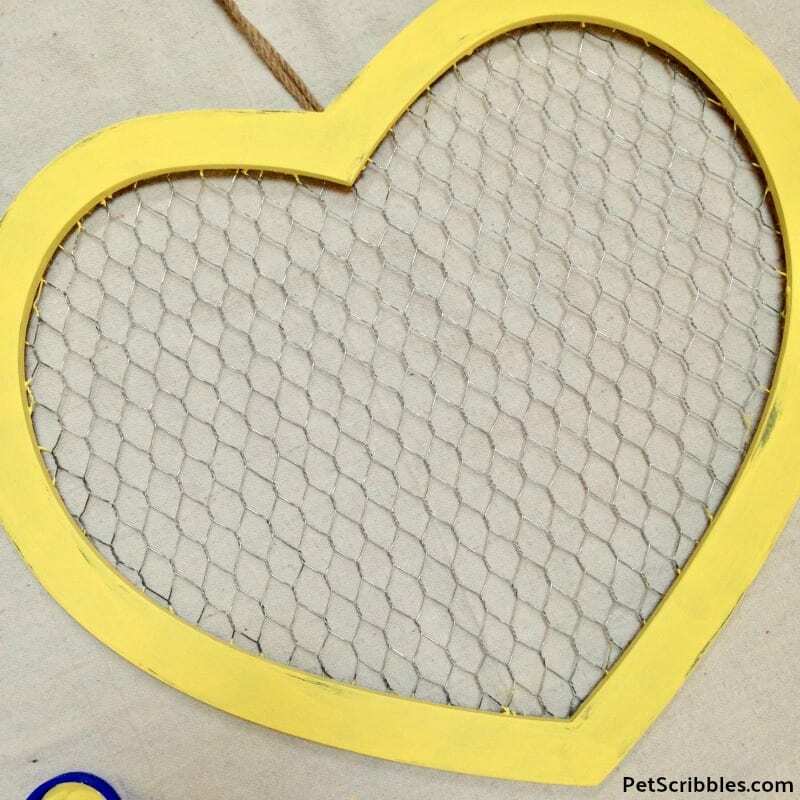 First I applied two coats of yellow craft paint onto the wood frame of the heart. I did these coats quickly and if my paint brush missed a few spots here and there, I wasn’t worried about it. 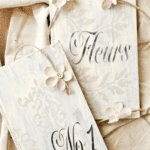 I’m going for a rustic look! Next I painted on Grey Storm, waited just a few seconds, then wiped off the paint here and there – in the direction of the heart shape – with an old wet washcloth. Make sure your washcloth is wet but not dripping wet. Keep painting on the Grey Storm and then wiping back until you love how it looks. 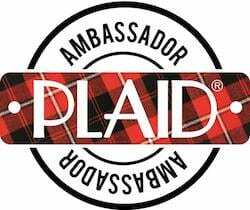 Let dry and you’re all set! 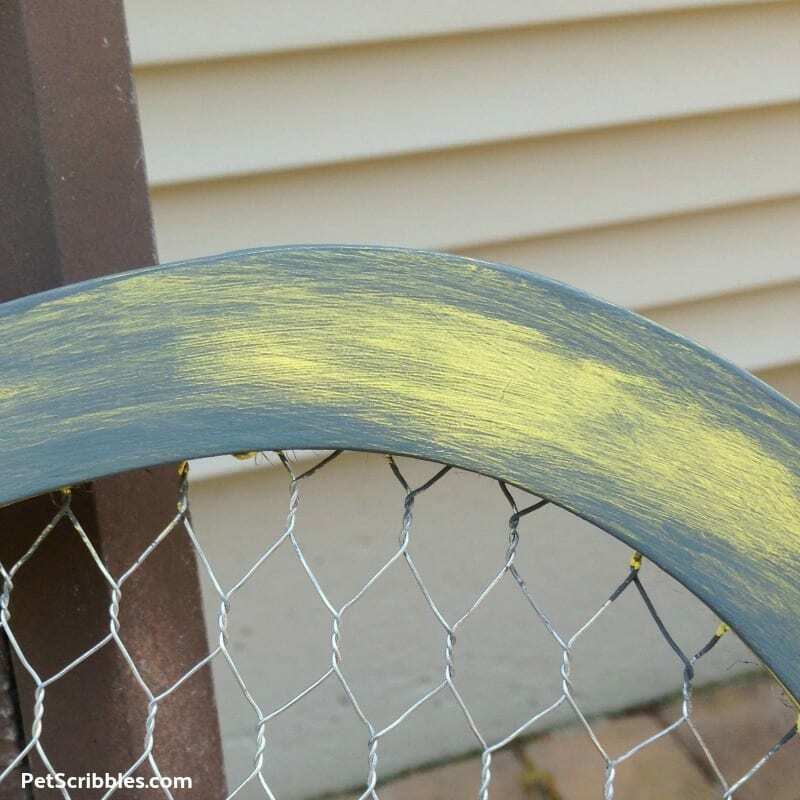 This paint finish looks weathered and distressed — yet no sanding was involved! 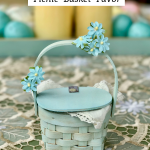 I’m always adding ribbons and trims to my projects, and this one was no exception! First I gathered up everything I thought matched the color scheme and style . . .
Then I played with everything until I was happy. I ended up choosing one grey ribbon, some vintage seam binding and twine, cutting them the same length, and making a simple bow. 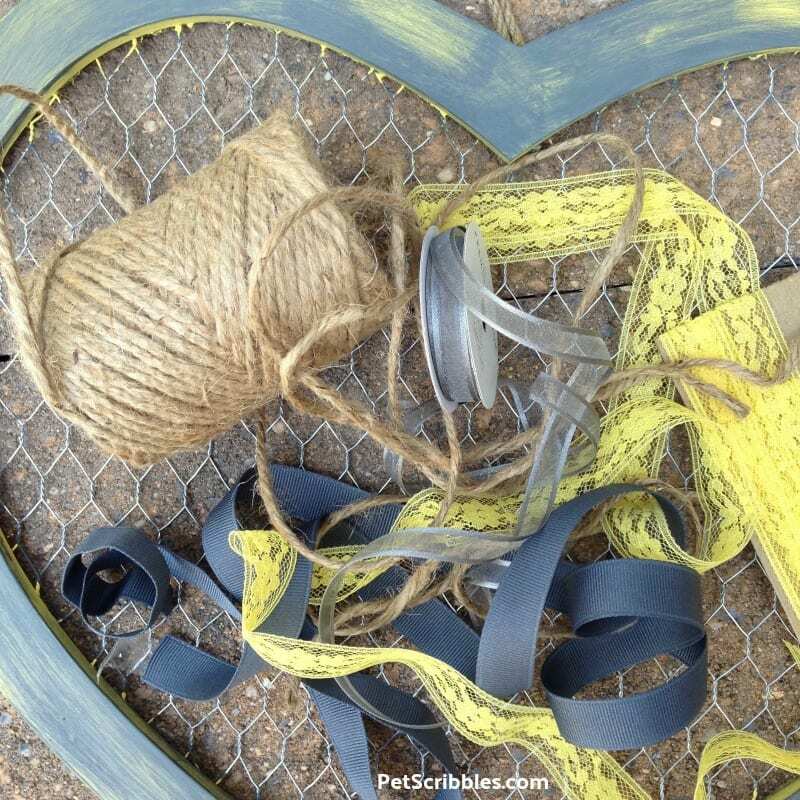 Hang the chicken wire heart as is, or add something special to it, like a treasured photo or greeting card. 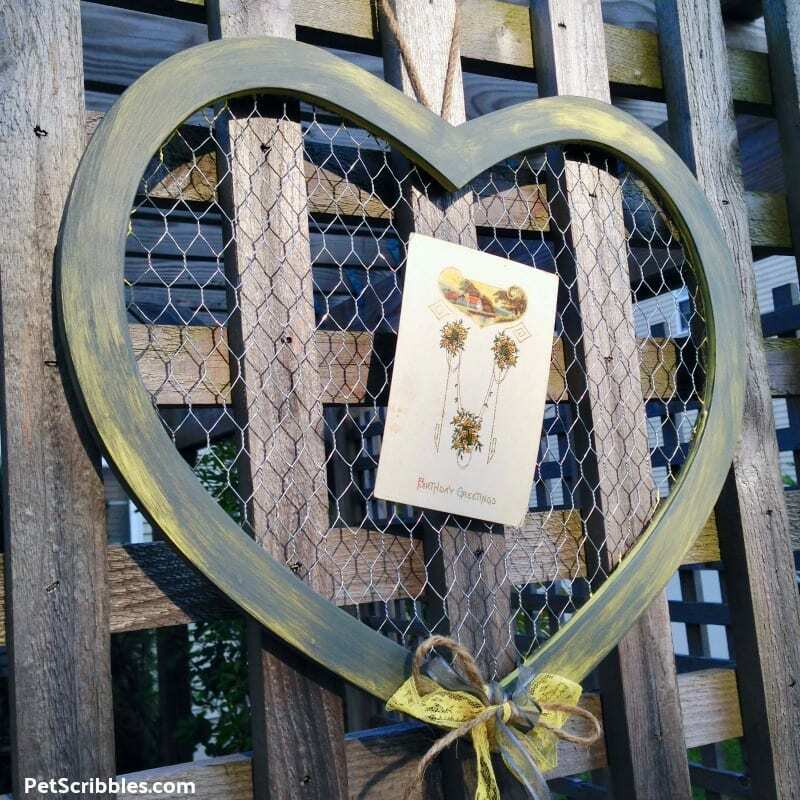 The chicken wire also makes this heart handy as a jewelry hanger for earrings. 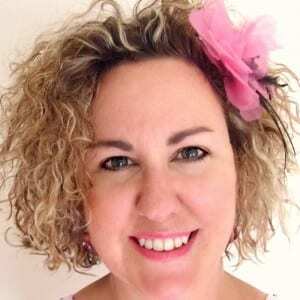 I’m displaying a vintage birthday postcard in mine. 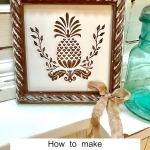 Gotta love easy-peasy DIY ideas!